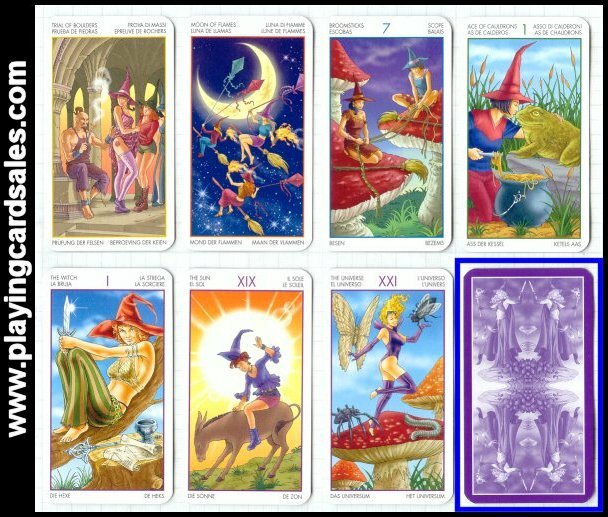 Also called the Teen Witch Tarot since all the witches shown look relatively young. Artwork by Antonella Platano. Card titles in six languages (as below + Dutch). 78 cards + 2 additional cards + 32 page booklet in English, Spanish, Italian, German and French.